December 2017 - Welcome to our Pre-k Place! Welcome to our Pre-k Place! I am finally back! I was welcomed with hugs and I can tell the children missed me as much as I missed them. Thank you for the special messages while I was away. Please help your child at home to review the names and sounds of the alphabet letters. "Letter Factory" really helps with learning the letter sounds. If your child is beyond that, try "Talking Word Factory" The DVDs are usually available at Target, Walmart, but I have seen better deals on Amazon, plus they have the digital downloads to watch on tablets and phones. 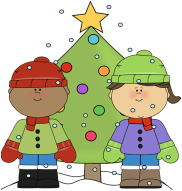 Pre-K will perform on the first Holiday show night on December 12th at 7 pm at the main campus. Please have your child there 30 minutes before the show. Please take them to 72 then join the line to find your seats in auditorium. Remember to have your child wear Blue jeans, any red top and a Santa hat. We will be performing Jingle Bells, they may practice at home the first part all the way to 50 seconds in. We are repeating that part twice. Here is the youtube link. If you have not purchase a field day shirt, just have them wear a white t-shirt. Please keep in mind that only approved volunteers will be able to attend. One box of candy canes to stir! Please check you child's folder for instructions on Waterford Computer home usage program. They have been using this in class for the past 2 months and have already made amazing progress. Keep in mind that if your child will be using this at home to not help them, this program adapts to each child's skill level automatically. Helping them will only make the next lessons more difficult than their skill level. You may want to invest in a good pair of headphones so they can focus without interruptions, or guide them to listen carefully. Please let me know if you have any issues so that I may help or assist you.